How do I get my BOBs listed? One of the questions we are asked the most, is "Which BOB do you recommend?" Since we don't want to play favorites, we are listing each category alphabetically by manufacturer. Please keep in mind that we are not endorsing any particular BOBs, but rather letting you know which ones we know of. This will list all of the commercial BOBs we know of. Some will work better than others for your needs, and some may not work at all for your needs. You will need to do your own research to decide what is appropriate for you. We are linking to the manufacturer's home or landing pages, and their specific product pages. However, we have no control over what they say, do, or claim there; you will be at external sites. Here is our FAQ page for the other common questions about BOBs. CNC4PC is a Florida based manufacturer and vendor of quality CNC parts. Automation Technology Inc is a reseller of CNC4PC products along with many other CNC related parts and products. C6 - Variable Speed Control Board (Step Signals) Unless you are sure you need Step/Dir, I would recommend a PWM version (like the C41) over Step/Dir variable speed control. C10 - Bidirectional Parallel Port Interface Card (Screw Terminals) NOTE: The output pins are designed for IEEE 1284 and have a 1.2K Ohm pull up resistors on them, which means when Mach is not running, the SmoothStepper will not be able to drive these pins low, and the pull up resistor will turn these outputs on. I.e. your outputs/relays may be active until Mach takes control of the SmoothStepper. CAUTION - make sure this will be acceptable with your hardware. C10S - Bidirectional Parallel Port Interface Card (Push Lock Terminals) NOTE: The output pins are designed for IEEE 1284 and have a 1.2K Ohm pull up resistors on them, which means when Mach is not running, the SmoothStepper will not be able to drive these pins low, and the pull up resistor will turn these outputs on. I.e. your outputs/relays may be active until Mach takes control of the SmoothStepper. CAUTION - make sure this will be acceptable with your hardware. C11 - Multi-function CNC Board (Screw Terminals) with PWM 0 to 10V Analog NOTE: The output pins are designed for IEEE 1284 and have a 1.2K Ohm pull up resistors on them, which means when Mach is not running, the SmoothStepper will not be able to drive these pins low, and the pull up resistor will turn these outputs on. I.e. your outputs/relays may be active until Mach takes control of the SmoothStepper. CAUTION - make sure this will be acceptable with your hardware. C11G- Multi-function CNC Board (Screw Terminals) with PWM 0 to 10V Analog. NOTE: Set the IEEE1284 jumper to "Not Compatible" and the outputs should work fine. C11S - Multi-function CNC Board (Push Lock Terminals) with PWM 0 to 10V Analog. NOTE: The output pins are designed for IEEE 1284 and have a 1.2K Ohm pull up resistors on them, which means when Mach is not running, the SmoothStepper will not be able to drive these pins low, and the pull up resistor will turn these outputs on. I.e. your outputs/relays may be active until Mach takes control of the SmoothStepper. CAUTION - make sure this will be acceptable with your hardware. C13 - Basic Breakout Board. No electronics, just direct access to the signals on the pins. C25 - Dual Port SmoothStepper Board(Screw Terminals) NOTE: This board has LEDs on the input pins that draw roughly 13 mA of current from your input source (proximity sensor, switch, probe, etc...). This current draw is larger than what some devices can source and they can't drive the input pin high enough to 'Activate'. In these cases the user needs to de-solder the LED from the C25 input pin or modify the drive signal to have more current or switch to a different BOB. The C25S (right below) is a good alternative since it does not have the LEDs drawing current from the input source. CAUTION - make sure this will be acceptable with your hardware. C32S - Dual Port Multi-function CNC Board NOTE:Set the IEEE1284 jumper to "Not Compatible" and the outputs should work fine. C62 - Dual Port Multi-function Board NOTE: Set the IEEE1284 jumper to "Not Compatible" and the outputs should work fine. C79 - Open Collector Expansion Board. 13 Inputs and 4 Outputs. 12V/24V with OptoIsolation. C80 - Open Collector Breakout Board. 5 Inputs and 12 Outputs. 12V/24V with OptoIsolation. HobbyCNC: On the Linked page, click on the learn more button! HobbyCNC PRO 4-Axis Board Control 3 or 4 stepper motors from your computers printer port! Ideal For Desktop Machining and Robots! Control Routers, Lathes, Mills, PCB Drillers, and Engravers! Just About Anything! HobbyCNC EZ Board Control 3 stepper motors from your computers printer port! Ideal For Desktop Machining and Robots! DIY CNC Routers, DIY CNC Lathes, Mills, PCB Drillers, and Engravers! Just About Anything! Products for CNC and motion control applications since 1998. Design, manufacturing, and support based in the USA. PMDX-126 The PMDX-126 is an isolated breakout board with support for 9 inputs, 16 outputs, and an interface for controlling a VFD (using the optional PMDX-107 NOTE: Please use a 300 HZ PWM base frequency with the PMDX-107). It is recommended that the ESS use a 5V power supply separate from that of the PMDX-126 (and the ESS should not power the PMDX-126). The internal power supply in the PMDX-126 cannot run any other accessories if you power the ESS from it. The MB2 is an Industrial environment BOB, featuring: 6 Axis Line driver; I/O that utilizes all 3 ports of the ESS; OSSD safety output; Status LEDs for all signals; Requires a single 24V power supply. One point to note, is that a high speed 24V input signal going into the opto-isolators may not be recognized. An example of this would be a spindle index signal or encoders. You will know that this is your problem, if you can read low speed signals, but as you increase your speed the signal degrades and is lost. To fix this, either a filter capacitor needs to be removed, or a photocoupler has to be used instead. The MB1 was signed for LPT/USB SmoothStepper and its inputs was designed to prevent noise interference from industrial devices such as plasma cutter, industrial motor. The MB2, the successor has been carried on this heritage. So, catching high speed signals, the capacitor for that particular input need to be removed. The 24v NPN input, such as X215, suit to the encoder with open collector output. The modified 5v PNP input, such as X315 suit to the encoder with differential line driver output. The customers can request photocouplers in the order comments field before check out. You may read more in this forum thread. The new MB3 is the continued development of the MB series of breakout boards. It keeps the best features of its predecessors MB1 and MB2, plus it allows all isolated inputs to be used with both NPN and PNP mode and both 5v and 24v voltage levels. In this new design, the ESS board can be directly plugged into the MB3 without using ribbon cables. This makes the ESS easier to install and reduces the number of contact points, PCB trace distance, inductance and resistance between ESS and MB3 board. As a result, all signals are less likely to be affected by noise and distortion. The DMB4350-8B Breakout Board features up to 5 axis CNC operation, PWM analog output for spindle control, and 3 I/O extensions. There is a Mach3 XML file provided on their site. Here is a Mach4 profile that has axes working and uses the Relay mode for Spindle operation. The HG08 allows for 5 axes, a Relay and 4 limit switches. Here is its manual. You MUST USE THE USB cable to supply 5V to this board, otherwise the motor outputs WILL NOT WORK! (You should be able to cut a USB cable and connect it's PWR and GND wires to the +5v and GND used to feed your ESS. This will let you power the ST-V2 without having to connect it to the PC - preserving your electrical isolation from your PC.) If you plan on connecting the USB cable from this board to PC, then we don't recommend this board - you will lose the isolation the ES provides to your PC! One user said that you can "wire 5v (+) and Ground (-) to the connectors on the rear" and have it work, but I have not verified this. This ST-V2 board uses a 74HC244 logic chip that drives 6 mA. This should work for most motor drivers, but not necessarily ALL motor drivers! You will need to check the motor driver specs to know for sure. You will need a FEMALE LPH26-to-DB25 FEMALE ribbon cable to connect this board to one of the ESS ports. If you are feeding it 12V in the 12V / 24V input, you may or may not have enough voltage headroom to drive your Spindle 0-10V signal all the way up to 10V. You may need to use a higher supply voltage (up to 24V) to get all the way up to 10V on the Spindle Output. Notes: Pins 2-9 are not bidirectional so they will always be outputs. 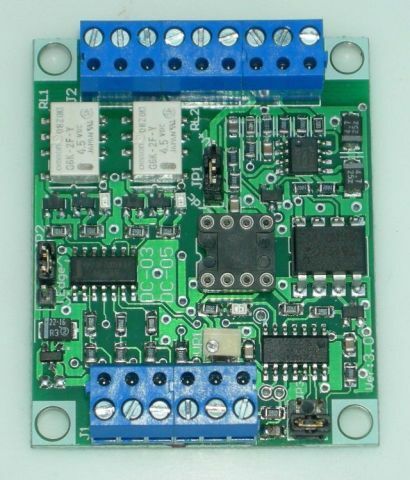 5 Axis MACH3 CNC Breakout Board Interface for Stepper Motor Driver. This is a cheap and easy way to just get signals out of the ESS. However, I would not recommend having a second BOB connected through this BOB, if you are going to have critical high speed signals go through it! This means Encoders, limit switches and motor step signals should not be daisy chained to a BOB through this BOB. The reason for that is the extra sets of connections and reflection points could cause extra noise, resistance and signal reflections that may degrade performance. This would not be an issue with low speed signals, passing through this BOB into another BOB, or signals coming directly out of this BOB. A California based manufacturer of Motor Drivers. They have many more products than we are listing. To connect a SmoothStepper to a G540, you need a ribbon cable with a Female LDH26 end (ESS) and a Male DB25 end. Otherwise if you already have a Female DB25 ended cable, you could use a Male DB25-to-DB25 Male Gender Changer which is at the bottom of our Order page. Here are the EZ-G540s which make it easy to adjust your current set resistors between pins 1 and 5. They have lots of Stepper drivers, more than we will list here. MX4660 is a 4 axis driver. Please use a ribbon cable to connect the SmoothStepper to the MX4660's CN1: DB25 header, which will allow you to control the motors. DO NOT CONNECT the SmoothStepper to the MX4660's CN10: 26 pin header, it does not have motor signal inputs. The CN10 is an expansion port for the 4th axis. For Inputs 1, 2, 3 and 4 to work, you will need to tie the +12v output (or other allowable voltage) to the Opto 1 input. Without doing this, your Optos will not be powered and your inputs will not work on the 4660. The TMC3in1 is a Torch Height Controller (THC) that also gives you a 5 axis breakout board and spindle controller. It only works in Mach3 for the moment, and Mach4 support is under active development for an late 2018 release. Spindle support is almost ready for release. Please visit our FAQ Pendants and MPGs page for more details. How Do I Get My BOB Listed? 1) Your company name, company logo (up to 500 pixels wide by 100 pixels tall), a company webpage you want your logo to link to, and a short description about your company. The page you want us to link to will be on your site, and you can update it as you wish. Category (General Purpose, Torch Height Control, VFD controller, etc..) (We have already listed a few categories on this page, but we are open to a few new categories). Product Web Page (that the Model Number or Name will link to). A short one sentence description about its features.